Pat dropped Will off at my work before the carnival today so that I could show off his costume and take him trick-or-treating around our building. He is usually extremely shy around anyone except my immediate family, and today was no exception. It didn't help that people were also dressed in costumes that he thought were scary. He didn't want to leave the safety of my cubicle. My boss Scott got him to venture out by offering to color with him. I'm not sure how many other people have a boss that would get down on the floor with your child and color, but man I'm lucky. Well it's not even Halloween yet, but I have fulfilled my Halloween quota for the year. Last Saturday my friend Jenny invited me to a Halloween party at her sister-in-laws. I was her date since her husband was out of town. It was a lot of fun, and with some prodding Jenny got me to try karaoke for the first time. It is definitely easier when the other people there have already made a fool of themselves, and you don't really know anyone else there. We were playing the American Idol karaoke game, and for those of you who haven't played it, it follows you along and rates if you are on tune, adds an interesting element to it. Thanks again Jenny for the invite. 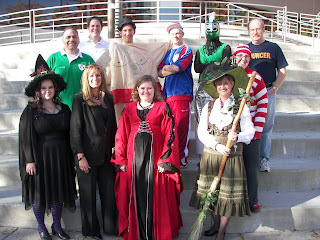 Today at work we had our annual work Halloween Party. Since most of us don't work on Fridays, we celebrated today. We moved the location to the Park Maintenance shop and they hosted. For the first time, a lot of the parks guys actually dressed up. They decided to all pick a general theme for their costumes, hillbillies. I think so many of them dressed up because the theme wasn't a stretch for a lot of them :) I wish I had taken some pictures at the party, I'm hoping someone else got some. We had a good lunch and played some games. I can definitely say that today was not a productive day for any of us at work. We did take our annual Arts Center steps photo, but as usual we didn't get everyone in the photo. After work Maiken, Lucia, Will and I all went over to The Center's annual Halloween Carnival. My camera was being weird and I didn't get any photos that weren't completely blurry :( The main attraction this year was a 1/4 mile long maze that filled the entire gym. They did a great job on it, and it was a lot of hard work. While helping to hang the black plastic for the walls, and then decorate, I continually got lost. Which I took to mean it was a good maze. If the people creating it can't get out, what chance does the public have. We got there right after it had opened and went staight to the game room. I'm glad we did, because after the next attraction we came out to a line of at least 50 people for the games. We had gone in to see the magic show. Cheesy, but the kids definitely liked it. I sat on the last row because I didn't want my hat to block anyone. I was kind of surprised how many people walked in during the show and just stood straight in front of me. Most of them were kids, but come on people, look around. I guess social skills are definitely something that you have to teach your kids, they don't really seem to pick them up on their own. By the time we got home I had been in my costume for 14 hours, and was done with Halloween. It's been a fun day, but I think right now my kitty ears are all I can think of getting up the energy to wear tomorrow. I do have to say that I really liked having dark hair. I have never liked my natural color and always wanted to be a red head. I have never wanted black hair, but I was quite fond of it today. You would be scared if you saw what the tub looked like afterward. Well, Happy Halloween everyone. Hopefully I will get lots of sleep tonight so that I will be re-energized for the actual day. So just by coincidence it turns out that his funeral is going to be the same time as our work Halloween Party. We discussed the different possibilities, including canceling the party, but decided to move the party back a couple hours so that those who were going to the funeral still could, but we would also still have the party. This just got me thinking, and I now kind of hope that when I die, hopefully not anytime soon, that it is near Halloween. Again, I don't mean for this to be disrespectful, but I think it would be totally awesome if everyone came to my funeral dressed in costumes. Maybe that is too morbid, but if I was able to see what was going on, I would love it. 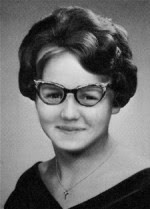 I just love dressing up for Halloween and think it would be good to have a fun memory associated with my passing. So if anyone that reads this is around when I die, and it is around the end of October, I expect you to show up in a costume. Just so you know, I also hopes it rains that day. I'm sorry that you will have to be standing at my grave in the rain, but I hope it's a huge rain storm with lots of thunder and lighting. If this happens, just know that I ended up in a pretty awesome place, and I have some awesome control over things. You never know. Will is going through, what I hope is a phase, where he gets very upset when Pat is not at home. Considering that at those times I am home with him, it makes you feel kind of bad as the "other" parent. You know, that one that you don't really mind when they are gone. So I get a call from Pat today that Will wants to talk to me. Will: Hi mom (in his very sad, slow voice) I'm just having a hard time cause you at work. It really is the little things that can change your day around. This is about as exciting as my Friday nights get. Will was very upset (again) because Pat was leaving for work. 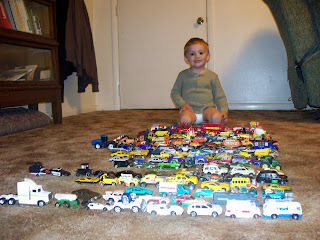 So to distract him I offered to help sort his cars. This is something we do every couple of months to see how they have grown and to work on colors. Will then proceeded to smash the white diesel through all of the cars and then asked if I would take a picture of the mergency. 1. I have an addiction to my hair. It goes back to my childhood and smelling my hair whenever I sucked my finger. The finger sucking went away (although very late) but the hair smelling thing stuck. I think I actually have a release of endorphins when I smell my hair. I think I should be studied. I usually find myself doing it when I am stressed or bored. I catch myself doing it at work all the time. It used to embarrass me, but now I figure they are used to it. Although my boss still asks if I just changed my shampoo whenever he catches me doing it. When Will was born it was one of the first things that I noticed as a trait of his, he loved playing with my hair. Now he loves twirling his own, till he got it chopped last week. Smelling Will's hair has the same effect as smelling my own. 2. I can't handle hearing people chew/swallow. And not just loud annoying eating, just regular eating. I feel bad because I know it's not something people can control, but it is just my sound that is like fingernails on the blackboard. I prefer to eat around people that are talking or who have the tv on. Maybe one reason I like restaurants so much. Luckily it doesn't take much noise for me to not focus on it. 3. Like Kristen, I don't like for there to be time left on the microwave. Maybe it's because we don't have a clock in the kitchen, so I just want to always be able to see what time it is. 5. I constantly have conversations going on in my head. A lot of times they are in the form of an interview. Me explaining something to someone else, reliving an experience. If I am going to have or have had an uncomfortable conversation with someone, I will run it through my mind over and over again. What I want to say, what I wish I had said, what I wish I hadn't said. 6. I have to have a visual reminder of things I need to do. This has become MUCH worse since having a child, and it seems there are a lot of other moms who say the same thing. I was never a grocery lister. Now if it is not on my list, I will not remember to get it. I can walk into the store thinking of something I need to add to my list, repeat it over and over again to try and remember, plan out the path in the store I will need to take to get it, and still somehow leave the store without it. At work this means that my computer screen/desk are literaly covered in post-it notes. This also leads to me leaving piles of things all over my desk. My boss is not a fan, but if I put something away, I forget about it. Out of site, out of mind. Yes my desk is always a mess, but I have yet to find any system where I remember to do things unless it is staring me in the face. I have also become someone who writes things on my hand. I just started doing this a few years ago, but I seriously feel like I have a brain tumor sometimes. What the hell kind of spider is that!?! I normally try to leave spiders alone, as long as they don't try to crawl on me. I will turn my head, try and pretend I didn't see them, and just let them be on their way. But this freak has to go!! My sister and I took our kids to the Country Farm Fest in Payson. I only heard about it by reading someone's blog that had been on Thursday. It was kind of small, just set up in the yard of someone that lives in north west Payson, but the kids had fun. There was a corn maze, tractors, petting zoo, horse rides and a small train. Over all a fun way to spend a nice fall Saturday. The only down side was the vampire bunny in the petting zoo that bit Maiken on the neck. I hope he wasn't rabid. Oh, and just a warning, hay is not very comfortable when it makes it way under your clothes, especially down your pants. I think this is pretty hot. I might have to try rockin this look. 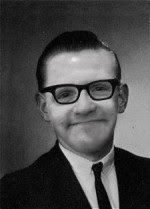 Umm...sorry Pat, I couldn't resist :) You look a little old for high school. Will: Mom, next time we go to the fireman station you need to tell the fireman that emergencies are danNngerous. My friend Tracie put up a "tag" where you go to your pictures folder, find the 4th folder and then post the 4th picture. That photo was a really bad one with several people having their eyes closed, but this was the next one. This was taken in November 2001 as a Christmas present for my parents. Holy crap we all look different! Will didn't even know who half the people were. He asked me "who is that red girl?" I think Alex and Pat are the most drastically different. Alex was only 10 so that explains her difference. Pat had been out of the hospital for less than 2 months and was still on a heavy dose of steroids that made his face all swollen. I forget how different it made him look till I see these pictures. Tom (my sister's then boyfriend, now husband) was taking the pictures. But I can't leave him out of memory lane. And I have always loved this one too. I wonder who's idea it was to be in the trees? - What is that sign on the road? It is telling us that they are working on the road and we need to drive slow. But why? Because they are fixing the road. But why, what does the sign say? Why can't I see the sign now? Where is the sign? - Why isn't the crane driller guys still working on the bridge? Where is the blue tanker truck that was working there? But why don't they work at night? Daddy works at night, why does daddy work at night? - Which led to, is Target closed? Yes Target is closed but daddy works there when they are closed. But why? Is Walmart closed? No Walmart is not closed. Why? - The police are not going to crash into us. I completely blame this on Spike TV and Pat watching Most Amazing Videos too many times. Will is now convinced that if we see a police man they are going to crash into our car to get us off the road. - No I don't know why we haven't seen any tractors. It could be because it's 10 p.m. and we are driving on the freeway. That was not an acceptable response. But mom I WANT to see a tractor! - There is not bird poop on our kitchen floor. No that is a scratch in the linoleum. No I can't explain it any better than that. All of these but one took place in about a half hour's time. This is why sometimes I guiltily look forward to going to work. Don't get me wrong, Will is a great kid, but I'm just scared that this isn't going to be a short phase and the questions are just going to keep getting harder. Of course then there are the questions that just melt your heart. Like when singing Hush Little Baby to him and he asked "Why did the horse fall, is he ok or hurt?" and then several weeks later, "Mommy, why you buy me a goat?" So I was just informed that a photo I took in London was chosen to be included in an online photo guidebook called Schmap. Their photos are all ones that have been posted on Flickr. I think we got some cool shots in London, but I'll admit this isn't the one I would have guessed they would choose. It is of the rooms used as refrigerators in the Tudor Kitchens at Hampton Court Palace. You don't get anything for being chosen other than your name included with the photo. Oh well, still kind of cool. This is what your house looks like when you have a child that REALLY, REALLY likes something. Can you guess what it is?